It is nearly impossible to find a driver that has not been cited with a traffic violation. It happens to good drivers, bad drivers, junior and experienced drivers, CDL holders, law abiding citizens and career criminals. A simple auto accident or one time lapse in judgment can have a devastating impact upon your ability to drive in the future. 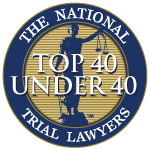 The Zuckerman Law Firm has represented drivers of all ages and backgrounds in traffic courts throughout Pittsburgh and Western Pennsylvania with one goal in mind: eliminate points, license suspensions and potential jail time. DON'T PLEAD GUILTY TO CHARGES THAT CARRY POINTS! "I can't miss work to fight a ticket." "I can't afford to hire an attorney to help me fight the ticket." "I didn't know that the ticket carried points or that I would lose my license." "I wanted to teach my child to accept responsibility for his or her actions." "I thought I could get into more trouble by fighting the ticket." "I did what the officer charged me with, so I might as well plead guilty." WHAT ARE THE POTENTIAL PENALTIES AND CONSEQUENCES OF A TRAFFIC VIOLATION? Some citations only carry fines and court costs. Certain types of traffic offenses carry points, license suspensions, and mandatory jail sentences. You can find out the penalties for most common traffic tickets here. Under Pennsylvania's Point System, drivers who accrue 6 points face serious consequences, including a requirement to attend a mandatory departmental hearing, a 15-day mandatory license suspension, and the need to take a written examination. Drivers may also see a hike in their auto insurance rates. CDL Drivers face suspensions of their driving privileges for accruing serious violations. Out of State Drivers may be subject to points and penalties in their home state. To make matters worse, you may face 6 or more points from one incident alone! For example, if you're charged with doing 25mph over the speed limit, and are cited with Speeding and Accident with Unattended Vehicle, you're facing a total of 10 points. First, seek an immediate consultation with a local traffic ticket defense attorney. Call Attorney Dave Zuckerman at 412-447-5580 for a free consultation to learn more about whether or not your offense carries points, license suspensions or jail time, so that you can make an educated decision about your case. Second, if you're facing points or suspensions, you have 10 days from the date you were issued the citation to enter a plea of guilty or not-guilty. You should either plead not guilty yourself or hire an attorney to do it for you. Do not pay for the total amount of the citation, or this will be treated as a guilty plea. ZLF enters not guilty pleas on behalf of our clients by faxing in documentation directly to the Magistrate's Office. Third, don't make the mistake of fighting your ticket alone. In many instances, your best chance of getting your desired result is before a magistrate, and not at summary appeals court. Our attorneys have seen several self-represented individuals not have the chance to negotiate a reduction, fail to object to inadmissible evidence, or otherwise mishandle their defense at the magistrate level. The traffic ticket lawyers of ZLF have significant negotiation and summary trial experience, and are familiar with case law that can be used to defend your case. The Zuckerman Law Firm always prepares for the worst while working behind the scenes to negotiate the best possible result on your traffic case. We will fight your ticket as far as it needs to go, and have contested tickets at the Summary Trial and Summary Appeals phases. Fighting all types of traffic tickets, including Driving with a Suspended License, Speeding, Careless Driving, Reckless Driving, Improper Passing and Stop Sign Violations. Traffic and Non-Traffic Summary Trials at Pittsburgh Traffic Court and Magisterial District Courts throughout Western Pennsylvania. Summary Appeals of Traffic and Non-Traffic Tickets before the Court of Common Pleas. Defending Truck Drivers, Commercial Drivers and Minor Junior Drivers in traffic and license suspension hearings. Get a professional on your side. For a free consultation, please call 412-447-5580.